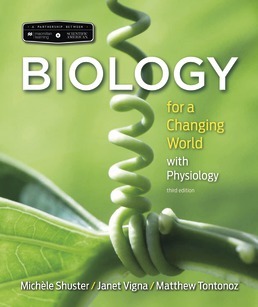 Biology for a Changing World teaches biology through stories, making the science easy to understand and interesting to read. Biology for a Changing World is fully experienced through LaunchPad, Macmillan Learning’s online learning system, which includes an ebook, animations and videos, and practice problems to help you make the grade! Is regenerative medicine the solution to organ transplantation? Drug-resistant bacteria are on the rise. Can we stop them? New Story! Can Rubber Save the Rainforest? A small state in Brazil aims to find out. What’s Happening to Honey Bees? Is genetic engineering the solution to world hunger? Michèle Shuster, Ph.D., is an associate professor in the biology department at New Mexico State University in Las Cruces, New Mexico. 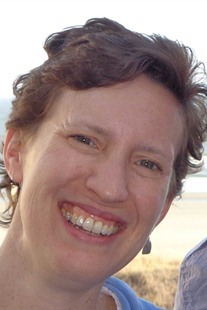 She focuses on the scholarship of teaching and learning and teaches introductory biology, microbiology, and cancer biology classes at the undergraduate level, as well as working on several K–12 science education programs. Michèle is involved in mentoring graduate students and postdoctoral fellows in effective teaching, preparing the next generation of undergraduate educators. She is the recipient of numerous teaching awards, including the Westhafer Award for Teaching Excellence at NMSU. Michèle received her Ph.D. from the Sackler School of Graduate Biomedical Sciences at Tufts University School of Medicine, where she studied meiotic chromosome segregation in yeast. Janet Vigna, Ph.D., is a professor in the biology department at Grand Valley State University in Allendale, Michigan. 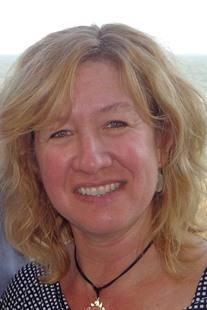 She is a science education specialist in the Integrated Science Program, training and mentoring K–12 science teachers. Janet has 18 years of undergraduate teaching experience, with a special interest in teaching biology effectively to nonmajors. She has recently been recognized with the GVSU Outstanding Teacher Award. Her scholarly interests include biology curriculum development, the effective use of digital media in science education, and research on the effects of biological pesticides on amphibian communities. She received her Ph.D. in microbiology from the University of Iowa. 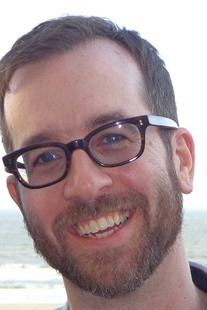 Matthew Tontonoz is a science writer and independent scholar living in Brooklyn, New York. For ten years, he was a development editor for textbooks in biology before shifting his focus to writing. He is currently senior science writer at Memorial Sloan Kettering Cancer Center, where he covers advances in basic science and clinical cancer research. Matt received his B.A. in biology from Wesleyan University and his M.A. in the history and sociology of science from the University of Pennsylvania.